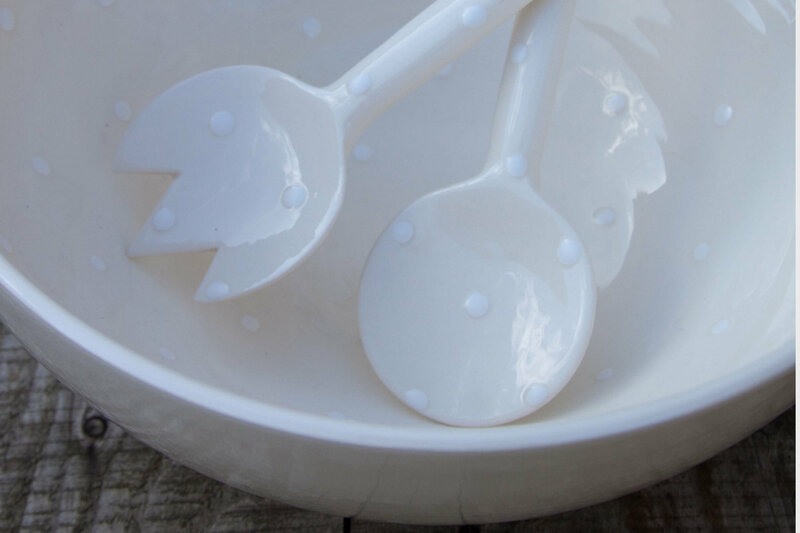 Hand thrown white earthenware salad bowl with hand crafted servers. 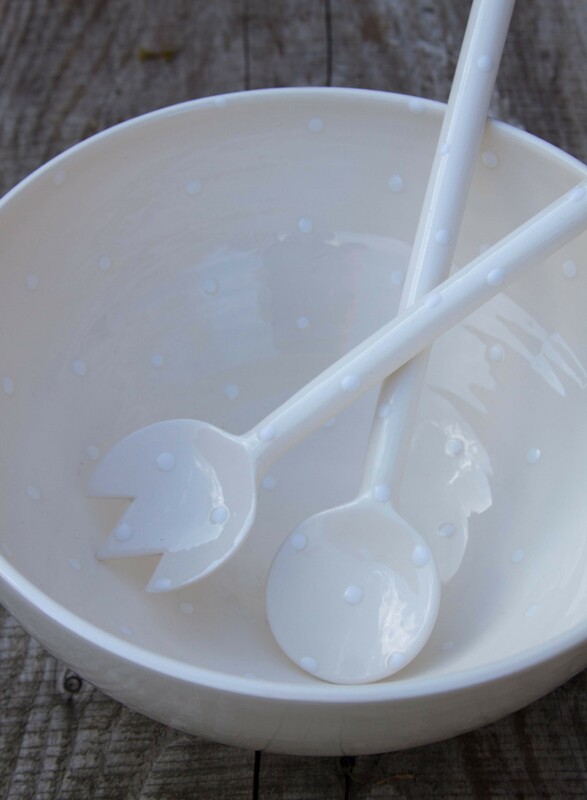 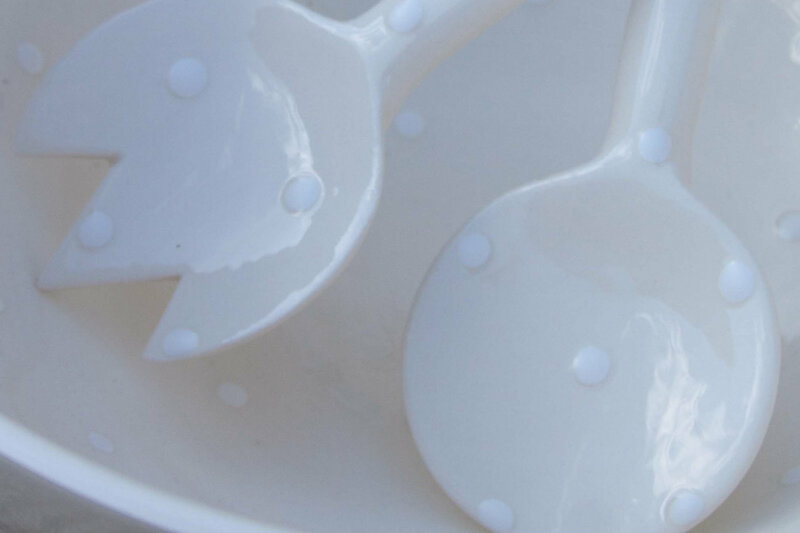 Beautifully glazed and finished with matt white dots. 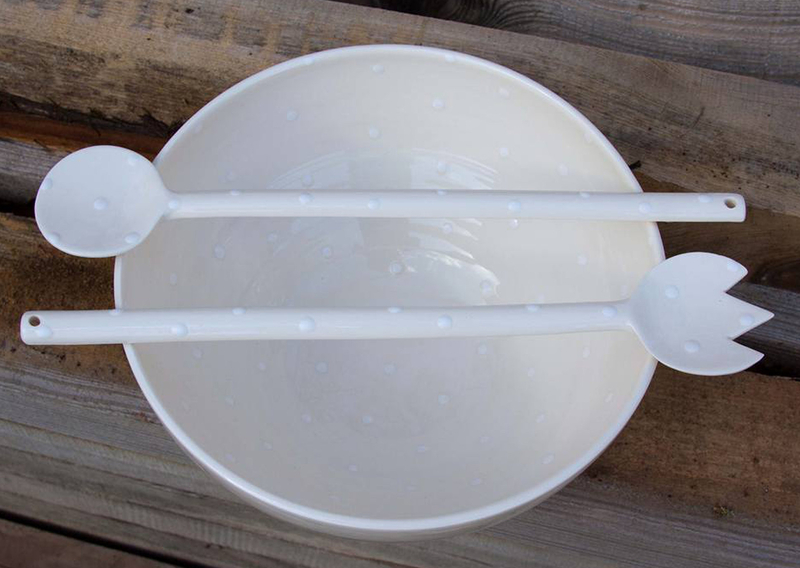 Because of the simplicity of this design this can look good on any table and would make an ideal wedding gift.